Yvonne Salter Wright was appointed on the Board of Directors in June 2016 and from October 2018 became Vice Chair. She was appointed as a National Leader of Governance (NLG) in June 2016 having served as a school governor for over 15 years including currently as Chair of Governors at a one-form entry voluntary aided Catholic primary school in Warwickshire. In her role as NLG, Yvonne is working with the Birmingham Diocesan Education Service to build strategic governance capacity and expertise and, presently, is developing models of senior executive leadership, accountability and assurance for Diocesan multi-academies. 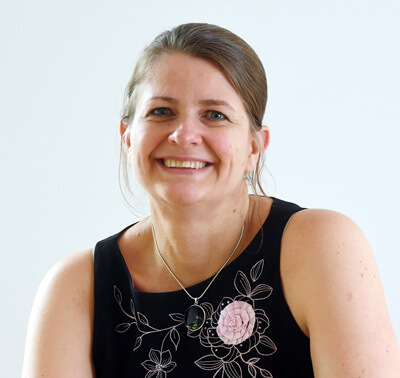 Yvonne’s professional background has been predominately within Higher Education, working for 18 years at the University of Warwick, where she previously completed her MA in International Political Economy and International Development. While there, she spent 5 years leading admissions, recruitment and widening participation (during which she was on the HE sub-group of the Tomlinson Enquiry into 14-19 education) and 6 years as Head of Governance developing the institution’s approach to risk analysis, compliance and assurance provision, and leading external liaison with high profile key stakeholders and honorary graduates. Then, as Director of Delivery Assurance and Resolution, she worked across the University’s professional services and academic community to build institutional capability in key priority areas, including feedback and complaints resolution, student discipline, and child safeguarding (serving as the Ofsted nominated individual for the outstanding University nursery). Previous to the University of Warwick, Yvonne held roles at a number of quasi-governmental organisations in the United States and at the Catholic University of America while undertaking her undergraduate degree and, immediately following her postgraduate study, as an Education Finance Auditor for an LA in the UK. Yvonne has a keen interest in education policy and how this translates into effective practices, and is passionate about inclusion and raising aspirations and attainment of children and young people.